I started to surface my waste-board for my Shapeoko 3 XXL. 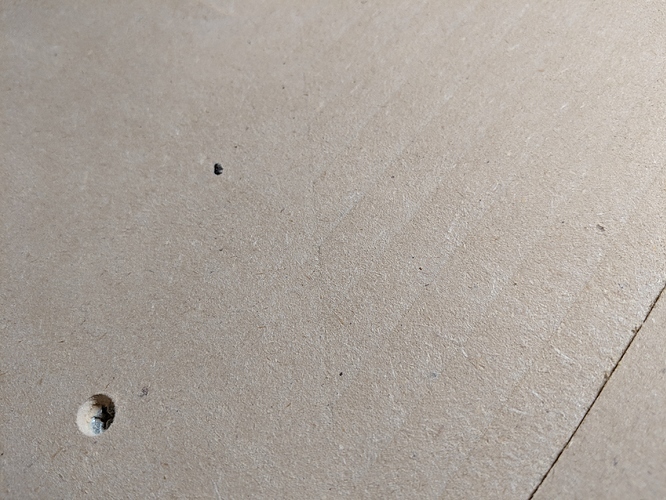 I brought a 1" surfacing bit from amazon. As it was running, I noticed that the x-axis was not fully flat while the y-axis feels perfectly smooth. As you can see in the photo that one side has texture vs the other side. The only thing I could think it could be is the z-axis is not full true but won’t I see this on the y-axis too? Not sure what would make the happen. 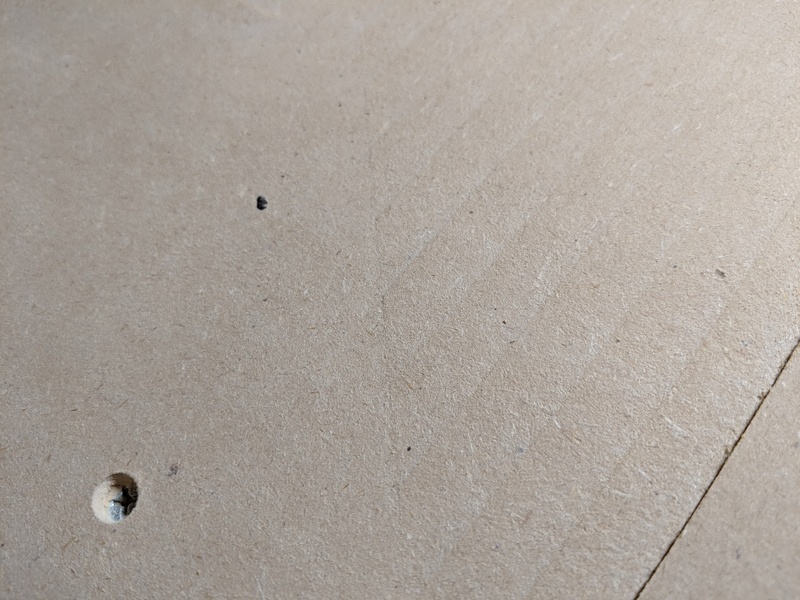 Such grooves in MDF can be caused by a lot of things, including the MDF compressing as it’s cut. I will check out that link! One of our “leaders” in our CNC group suggested buying a door know router bit for resurfacing. With a large bit like that you will need to slow down both speed and travel speeds. Much larger than your 1.0" bit and at least it will leave fewer marks on your board. Try overlapping just a bit and see if that will help. Thanks Jesse! I will keep that in mind next time I surface my board. As I was going through the calibration, I noticed that the y-axis was leaning inwards a very little bit while the x-axis was leaning inwards a lot more! I think that is where the grooves are coming from, the bit not level while passing over the board in the x-axis but there is no grooves in the y-axis. Hopefully, have time this weekend to see if I can straight up the axis. From what I remember there is not a ton of play in the bolt positions. Here’s another source for one of those large bits. I just received a catalog from MicroMark and they had one listed in there, I believe for under $20.00. I I was told that usually the “Pro” bits are around 4 times these other bits. AND, how often are you going to be using that huge bit?